Could you please research interior courtroom designs? Okay, I’ll see what I can find! 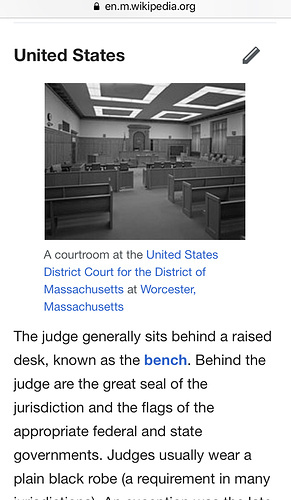 On one side is the judge's bench, the tables for the plaintiff, the defendant, and their respective counsel, and a separate group of seats known as the jury box where the jury sits (in jurisdictions that allow for jury trials). Apart from the parties to the case and any witnesses, only the lawyers can literally pass the bar (court personnel and jury members usually enter through separate doors), and this is the reason why the term "the bar" has come to refer to the legal profession as a whole (see bar association). There is usually a podium or lectern between the two tables where the lawyers may stand when they argue their case before the judge. 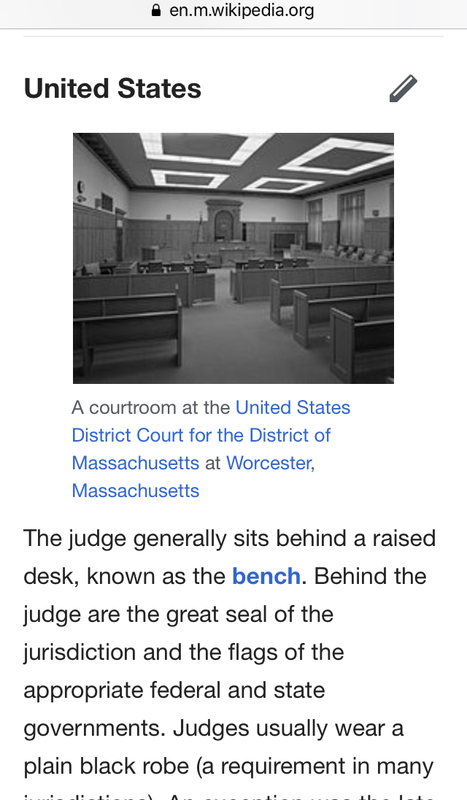 There is usually an open space between the bench and the counsel tables, because of the court clerk and court reporter's tables in front of the bench and the jury box on the side. This space is called the well. It is extremely disrespectful to the court for persons who are not court employees to directly "traverse the well" without permission—that is, to walk directly towards the bench across the well—and some courts have rules expressly forbidding this. Instead, if documents need to be given to or taken from the judge, attorneys are normally expected to approach the court clerk or bailiff, who acts as an intermediary. During trials, attorneys will ask the court's permission to traverse the well or "approach the bench" for "sidebar" conferences with the judge. On the other side of the bar is the gallery, with benches and chairs for general public. In some cases the gallery is separated from the rest of the room by bulletproof glass. All of the above applies only to trial courts. Appellate courts in the United States are not finders of fact, so they do not use juries or receive evidence into the record; that is the trial court's job. Therefore, in an appellate court, there is neither a witness stand nor a jury box, and the bench is much larger to accommodate multiple judges or justices. The walls are often partially or completely wood-paneled. 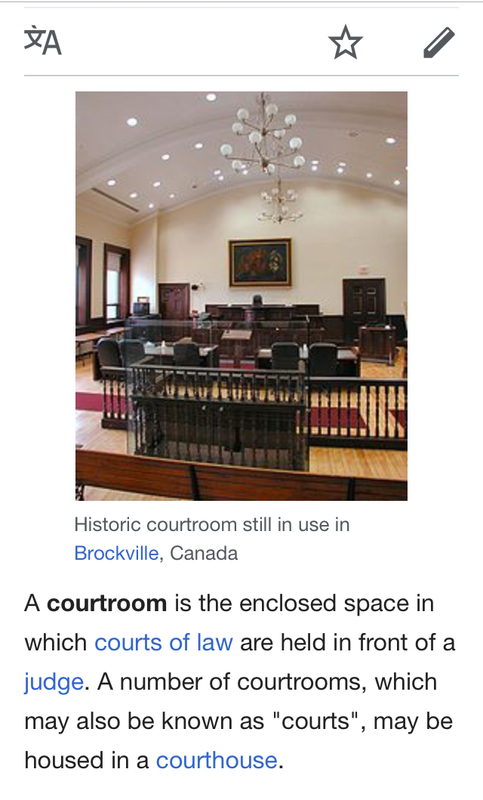 This is a matter of style and tradition, but some jurisdictions have elected to construct courtrooms with a more "modern" appearance. Some courtroom settings are little more than a closed circuit television camera transmitting the proceedings to a correctional facility elsewhere in order to protect the court from violent defendants who view the proceedings on television within a jail conference room and are allowed duplex communications with the judge and other officers of the court. Many courtrooms are equipped with a speaker system where the judge can toggle a switch to generate white noise during sidebar conversations with the attorneys so that the jury and spectators cannot hear what is being discussed off-record. Multiple courtrooms may be housed in a courthouse. The schedule of official court proceedings is called a docket. 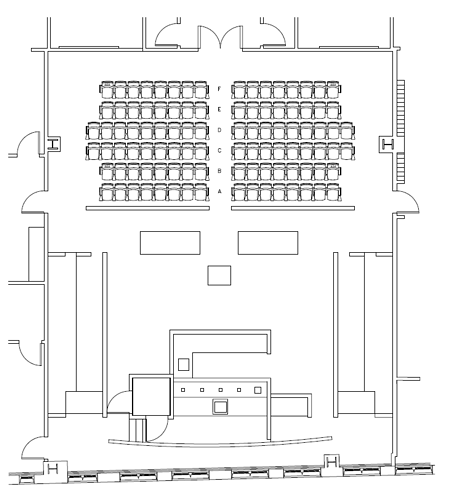 If you’re designing a courtroom layout, two of the biggest components you’ll need to think about are the jury seating layout, and the gallery seating layout. Among all the things found in a courtroom setting (the bench, well, railing, etc. 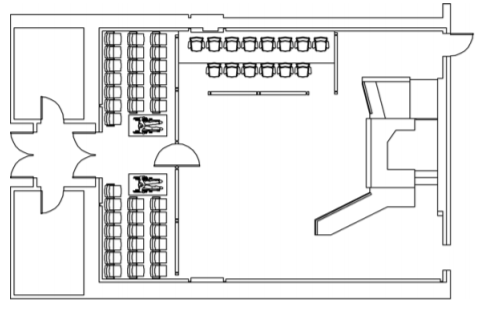 ), these are two areas where you’ll need to consider seat quantity, spacing, swivel room, etc. Located in the “jury box” , the jury seating area is made up of a number of “fixed” seats. The Gallery is the seating area for the general public or anyone viewing the proceedings. Depending on the courtroom, the seating may be theater-style (individual chairs) or bench / pew style. It’s not within our expertise nor the scope of this article to talk about laying out all the components of a courtroom, so if you need info on other components in a courtroom (the bench, witness stand, etc.) take a look at this Wiki article. 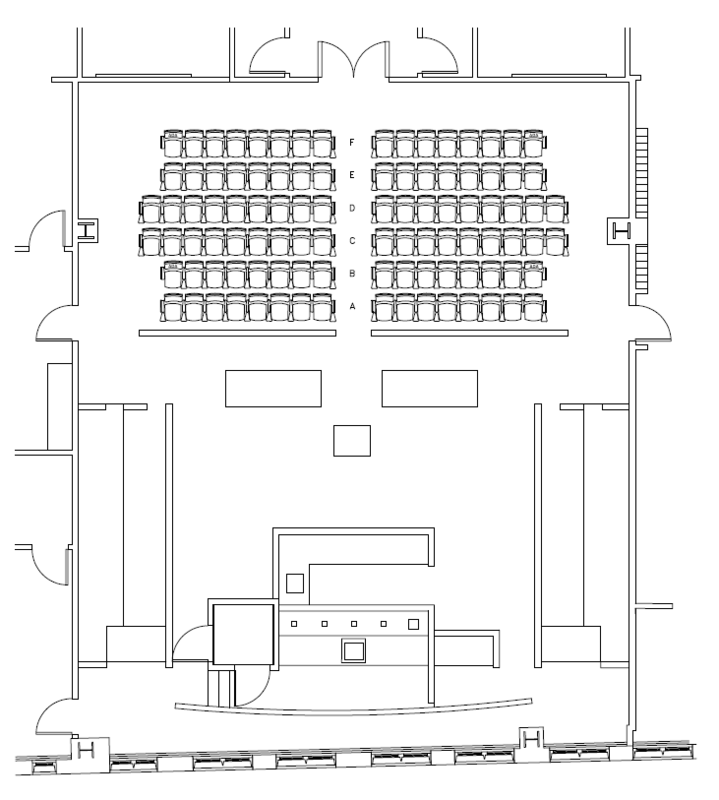 This gives you a rough idea of where the gallery seating is in relation to the jury seating box. 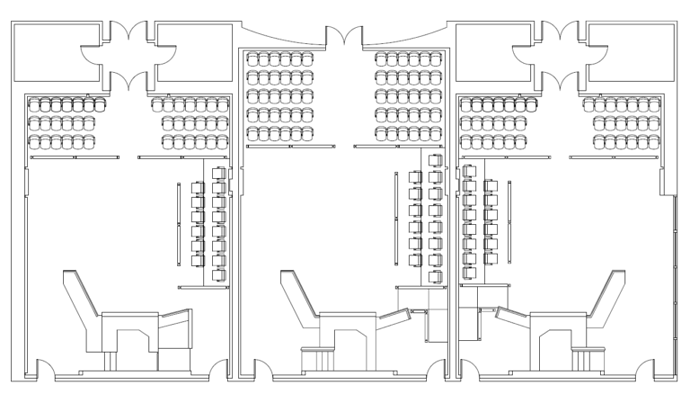 As you can see, this sample jury seating layout includes 14 individual fixed seats. 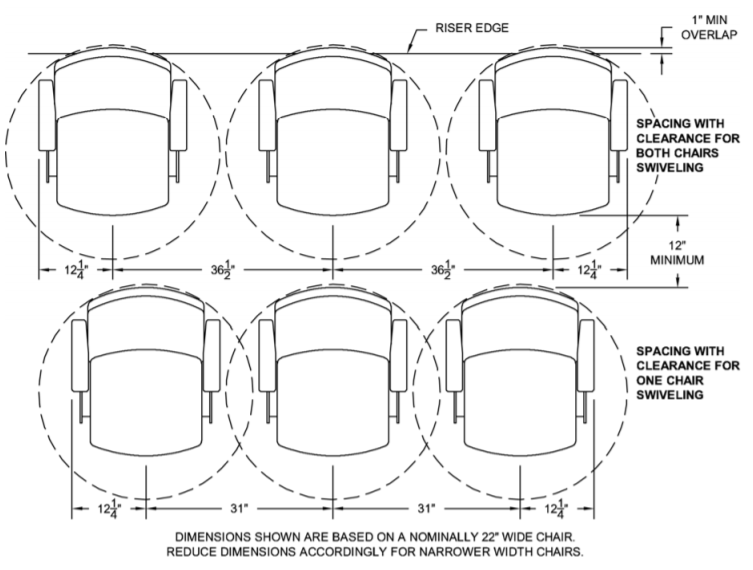 Next, we’ll take a more in-depth look at the setup and layout of jury seating. As we mentioned, the seating inside the jury box is “fixed”, meaning that the individual seats are bolted to the ground. Notice that in the above diagram, you can space it such that only one chair can swivel at a time (the lower row) or space it wider so that each chair can swivel independently. The way you lay this out will depend on the size of your jury box, and the amount of emphasis on comfort and personal space you want to allow the members of the jury. 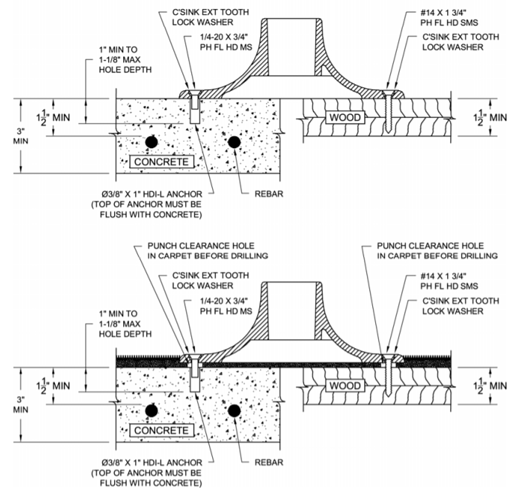 Notice that ideally, everything should be bolted in such a way as to have a clean appearance after installation. Also, remember that in addition to your jury box, your gallery can also contain fixed seating. If not, just let me know and I’ll go look for more! You are an awesome researcher. WOW, Skybie, that is AMAZING!! I am blown away and amazed how she has gone above and beyond. That's just the info we were looking for; thank you!! @Hanna_Brassheart Got any new jobs for me? Not yet. I can ask Hans if he has anything in mind, though! If you want to, you could draw Goku! That would be great! Oh good, I’m glad I was able to find what you were wanting! Could you please research the basics of animated hair? This might include "How To"s, programs people use, requirements of computer RAM and space, and maybe how long the process would take. We'd like to know by the end of the month. Thanks very much! Oh, and I have been thinking about this for a little bit...but haven’t quite known how to say it, (today school started) and so I probably won’t have as much time available for doing, well, the forums and research, so could someone else be like a Substitute/Helper researcher, for if I can’t do/finish them by the deadline date? I can't believe I haven't noticed this! Can I help out?! This looks awesome! If you want to, you could draw Goku! THAT. IS. SO. EPIC!!! Love it! Thanks Peri!! That is amazingly good! 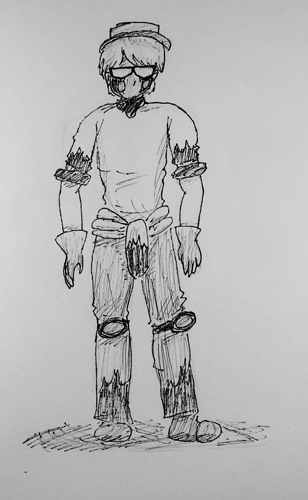 I've recently been getting into ink/pen drawings too for Inktober! Mr. Ironheart!! Oh, wow, thank you so much! Aye, I'm doing Inktober as well, albeit I'm behind. But I'm enjoying it. I have a challenge for @everyone. Could someone please work out the dimensions of Lukas’s workshop in meters if an avatar is 1.68 m. The more details the better. You get your name in the credits if you can figure it out.